Forever Momo <3 | .forever.as.i.am. I’m about to be 21 this September and will be studying Graphic Design starting this Fall so I can start my career as a Photo Retoucher! My name is Momo and I’m from Virginia but have been a Military Brat all my life. 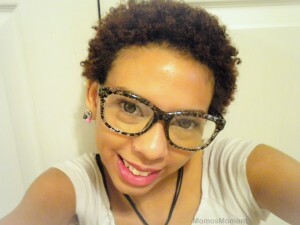 When & why did you decide to go natural/transition? I started transitioning to natural hair my senior year of high school in 2011 because I’ve never really liked having straight hair to begin with, to be it was too plain and didn’t match my personality or style. But I mainly was fed up with having to deal with the two different textures and my hair being damaged. Were there any negative or unexpected reactions regarding your decision? There were a lot of negative comments from my family but I wasn’t doing it for anyone but myself so I never let anyone’s rude comments get to me and kept thinking about my goal and how healthier my hair would be once it was the way it was supposed to be again. Did you big chop? If so, what was that like? Hair care routine? Type? Starting length? Current length? Goal length? For my routine I just wash my hair once a week, oil it everyday and do a protein treatment once a month. My starting length was 7 inches before I did my second big chop and now it’s almost 4 inches at the moment. As for my goal length I’d like it to get back to shoulder length first and then try to make it to bra strap length. My favorite product would have to be Shea Butter. The only style I ever do is Wash ‘n Goes, I’m too lazy to braid etc. What was the most valuable thing you’ve learned while on your journey? Not to give in to peer pressure or let peoples rude comments get to you, no one else’s opinion about your hair should matter but YOURS. If you could do it all over again, would you? & what would you do differently? I’ve already done a 2nd big chop LOL, but I’d never relax my hair again or wish I kept it that way because it just wasn’t for me. I love my hair how it is now and will never go back to the creamy crack. Any words of advice for a new natural or transitioner? Keep your hair moisturized and whatever you do DON’T turn into a Natural Nazi; those are the kind of people that give other natural’s a bad reputation. Website or place to follow your journey? Thanks for the feature and complements, I work really hard on my blog so that means a lot! Also I forgot to say my texture is 3c/4a, LOL.